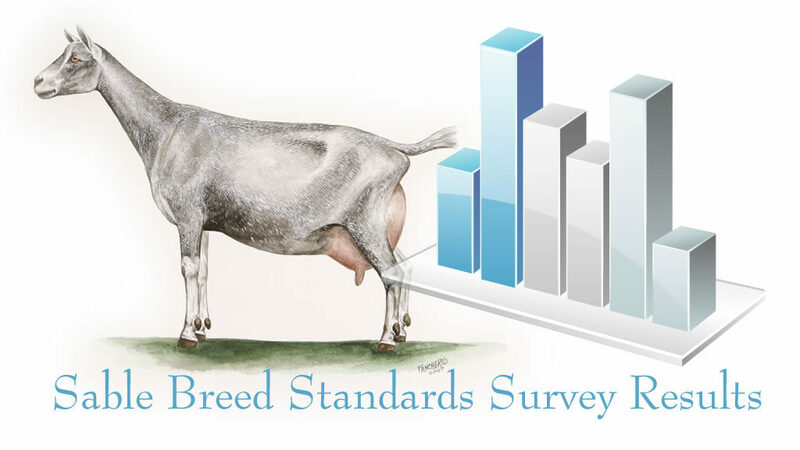 ADGA Members were recently surveyed about a color requirement for the Sable breed. Should Sables be required to exhibit 25% color other than white or light cream for registration? Proponents of the 25% color requirement believe it would make the Sable breed more distinguishable from the Saanen breed, strengthening the legitimacy of the breed. This change could increase the ability of the Sables to breed true. Opponents to the 25% color requirement question the potential margin of error in determining what constitutes 25 percent. Additionally, requiring more color could decrease the number of animals registered in the Sable breed when the Sable breed is already challenged by low registration numbers.